It’s no secret that almost all businesses have included or are planning to include digital marketing as part of their marketing efforts. This is why the demand for digital marketers will continue to outweigh the supply. The scary thing is that we are yet to scratch the surface of Digital Marketing in Nigeria compared to other developed countries. So if you think the market is saturated, then think again. 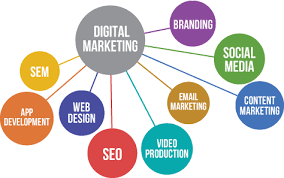 The future of digital marketing in Nigeria is bright, the opportunities are limitless, the earnings are lucrative and the best time to drop everything and pursue a digital marketing career is now! You don’t even need to have a degree in marketing or computer science or any related course. All you need is skills and passion to succeed. Then lucky you! You may want to read on to discover why digital marketing is the most in-demand career on earth right now. Remember what it felt like to be the best in the class and your friends all wanted to sit around you during exams? Well, that’s kind of how it feels like to be a digital marketing professional. Due to the fact that there are more jobs than digital marketing professionals, this gives digital marketing professionals a unique labour market advantage especially with the unemployment rate in the country. Imagine going for an interview where you don’t have to compete with hundreds if not thousands of candidates for just 2 or 3 jobs. Awesome right? The best part is you can work anywhere with your digital marketing skills. A lot of opportunities exist both in Nigeria and abroad. And trust us when we say the pay is way above your average job which brings us to our next point. One of the questions I get as a digital marketer is “how much can I earn?”. The truth is there is no fixed salary because there are a lot of factors involved some of which include your experience, skill level, past/present achievements and of course your negotiation skills. That being said, the pay is way more than your average job. However, when starting out, build your skills and gain more experience rather than focus on becoming a millionaire overnight. When a job is in demand, it means there’s more opportunity to negotiate salary whether you are working full-time or as a freelancer. As you grow into the profession, your pay is definitely going to increase. Once you are able to prove your worth, you can always negotiate your pay accordingly. Organizations that know how valuable you are will definitely be willing to pay more. So you can choose to specialize in one or two digital marketing fields and still make good money. Moreover, some employers only require specific skill sets such as copywriters, SEO specialists or Social media managers because specializing in specific skills makes you effective. Digital marketing is one of the few careers where you can learn from the comfort of your home, at your own pace and still land a job or at the very least an internship. Yes! you read that right. There are many resources online such as Ebooks, webinars, blog posts, video tutorials, articles, forums that you can learn from. You can also take online courses, get free certifications from Google Digital Garage or Hubspot Academy, build your website and put everything you’ve learned into practice. Also, you can do some volunteer jobs like managing social media, implementing SEO on a website or running paid Ads. This way, you can start building your portfolio all at your own pace. If you can achieve all these, you will stand out from your fellow job seekers. It will also be easy to market your digital marketing skills. Trust me, it works! I mentioned at the start of this article that we are yet to scratch the surface of digital marketing in Nigeria. There are a whole lot of digital channels we yet to fully utilize such as augmented reality, virtual reality, location-based marketing, and so on. As technology evolves, so will the digital marketing industry. There will always be new and interesting things to learn which will make your career an exciting one. You can become an in-demand professional. You will make plenty of money. You don’t have to be a jack of all trades. Your career is in your hands. 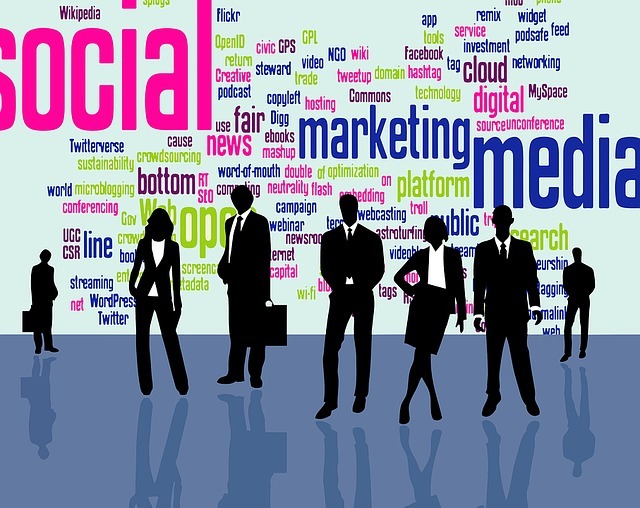 There is enough room for everyone in the digital marketing industry. If you’d like to get 100% practical experience and an official certification in a reputable digital marketing training academy, feel free to send a mail to info@ckdigitalacademy.com. Once you’ve gained practical experience coupled with your personal knowledge, you’ll definitely have an edge over your peers when it comes to searching for fulfilling digital marketing career opportunities. Do you have other reasons you’d like to share? Kindly leave a comment below.